D.A.R.E. 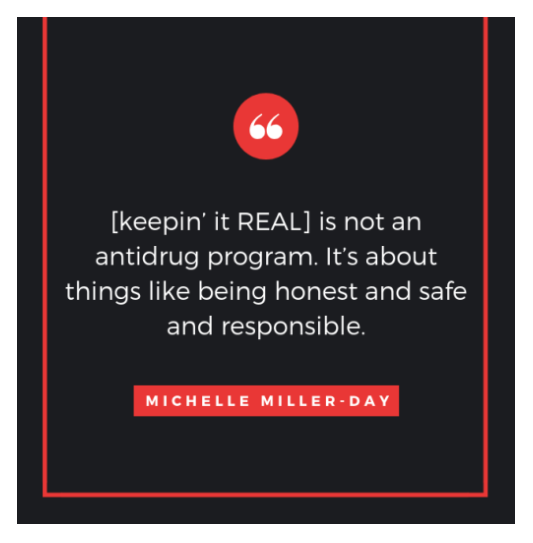 SOCIAL MEDIA TO GO is D.A.R.E. 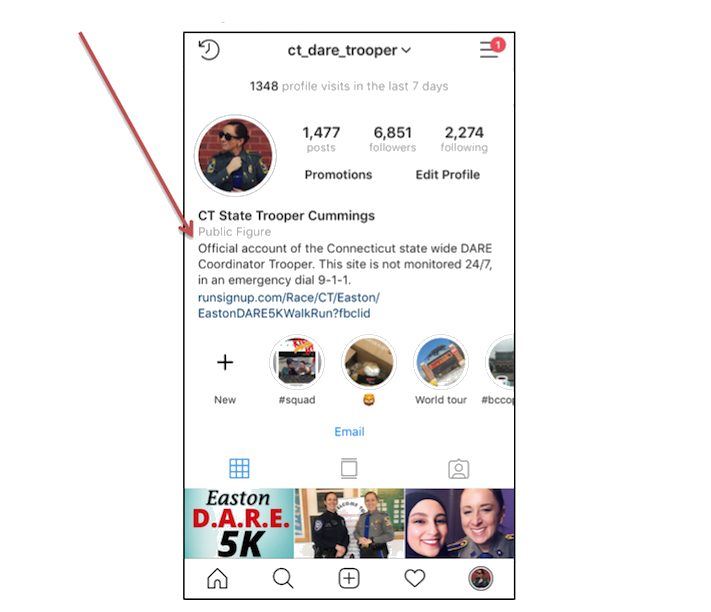 America/International’s new social media initiative designed to create a national and international presence on Instagram and other social media sites. To optimize our success, we need to develop a “bank” of great content consisting of photos, videos, memes, quotes and other content that will be engaging and generate viral sharing by all who follow us. The most effective content will be brief interviews with kids and teens—as well as teachers/educators, D.A.R.E. officers, and parents—talking about D.A.R.E. in an unscripted, relaxed, natural way. Once captured and created, we are asking D.A.R.E. officers, D.A.R.E. students, teachers, parents and others who want to spread the positive D.A.R.E. message to submit your content to content@dare.org or through the content upload form below. We will review and generate new Instagram postings multiple times a day. Search @dareinternational on Instagram to follow us! Below are “guidelines and guardrails” to help you generate great content! Ensure to follow all social media policies of your respective department and schools in which you serve. 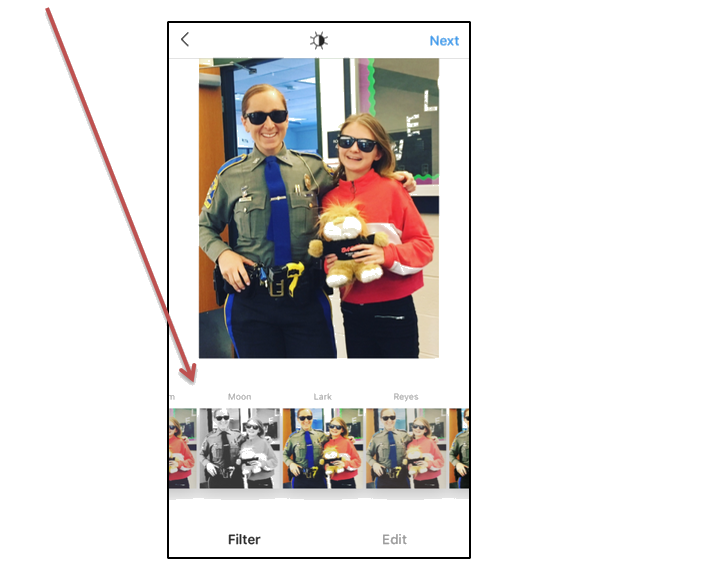 If your school or department does not have a general photo/video release, you can find a sample release form under the “D.A.R.E. Officers” section at www.dare.org. Finally, we also encourage you to create your own local D.A.R.E. 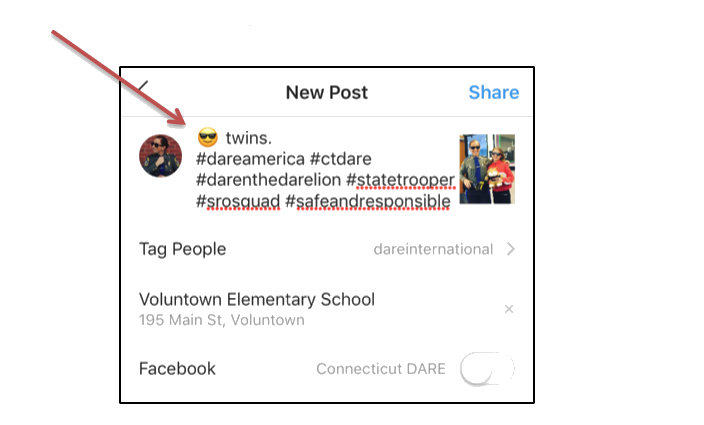 Instragram and other social media platforms to promote D.A.R.E.! In doing so, we encourage you to follow the suggested “guidelines and guardrails” to maximize your effectiveness. DO try to get action shots of kids (as opposed to just posing kids in front of a wall unless the wall is brightly colored or stark white and the child is wearing bright clothing, as shown in the above photo example). DO use your photos to tell a story. Captions should be concise. 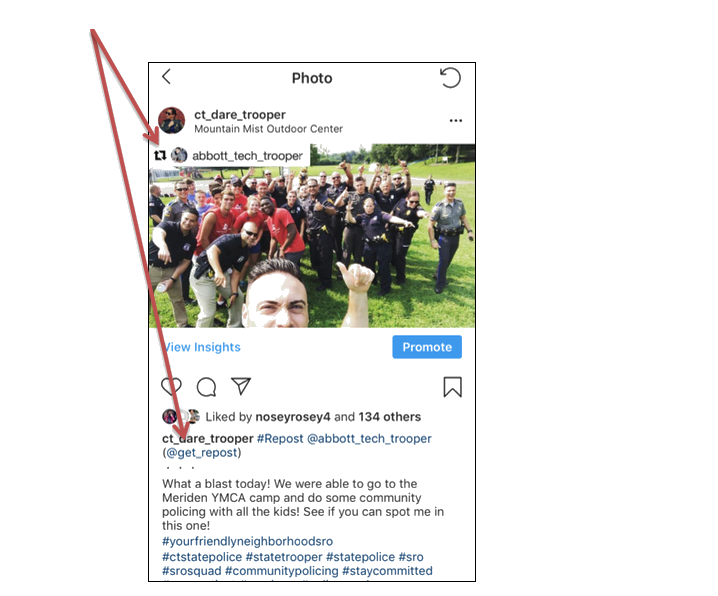 DO consider using some of the different Instagram features to maximize your audience and spread your positive content. Filters can enhance your photographs and increase interest in your posts. Tagging other accounts will help increase your viewers and exposure. 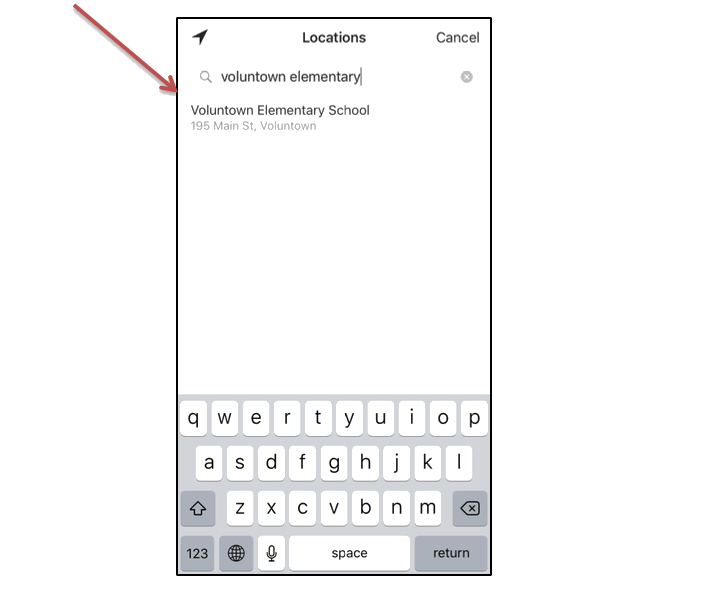 Adding a tagged location will increase your exposure to local Instagram users. Use clear and concise captions and consider using emojis to spark interest. Consider using repost applications to share content among accounts. This makes for increased and consistent content. Post to your Instagram story. These photos and videos are available to be viewed by your audience for up to 24 hours before they are “deleted” from your story. Stories can be used to convey information or generate interest in the content posted to your newsfeed. Do utilize short video recordings to post to Instagram. Videos capacity on Instagram is 1 minute. Do use the Boomerang feature which loops 3 second videos. 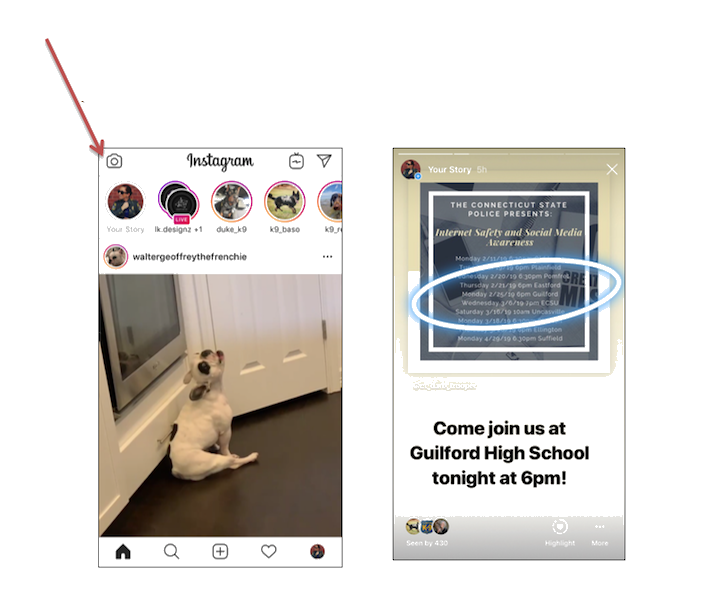 This feature can be used in the Instagram Story section or added from the Boomerang App. 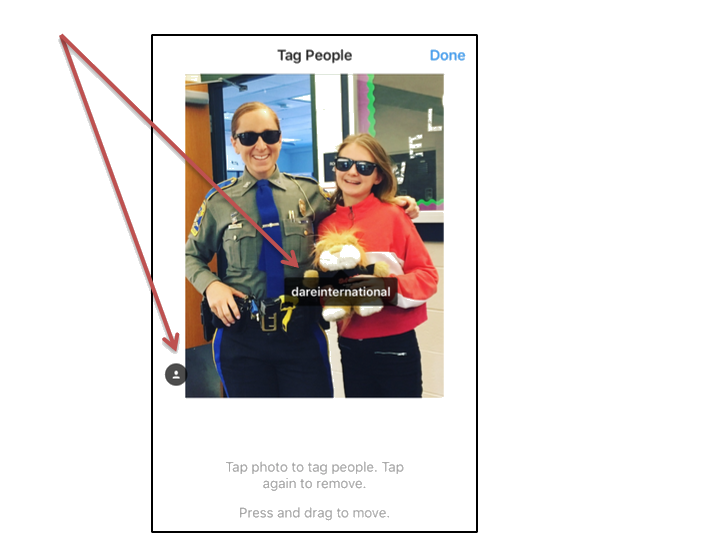 If you already have your own Instagram account, don’t be shy to utilize the boomerang option. You can take a boomerang video and save it to your phone. Open Instagram→ swipe left→ choose “boomerang” at the bottom → record while pressing the button on the screen. Do have kids state their first name and age at the beginning of each video. Do have law enforcement/teachers/administrators give their full name, title, school, city, and state. Open ended questions are always best (i.e. “What is your favorite thing about D.A.R.E..?” vs. “Do you like the D.A.R.E. program?”). Some good ice breaker questions are asking them where they’re from and for their favorite subject in school. Do use the information gathered in videos to create motivational messages and thoughtful quotes. We would love to post your own words to share with our followers. Do be aware of what is in the background of the photograph: student names, address of the school. Do not post any information that can compromise student safety. Do take your videos and photos in your phone’s camera function.  Do review all images and videos before posting to ensure there is nothing offensive or damaging to the mission of D.A.R.E. America or your Department. Do coordinate all social media efforts with your Department Social Media Liaison or Public Information Officer. Do have a disclaimer in your Instagram biography. Do not post any photo or video of any student who does not have a social media waiver on file with the school.